Narrow straps of adjustable length that are often elasticized; they cross in the back, go over the shoulders and fasten to the pants to keep them in place. Small slit in a garment through which a button is pushed. Usually leather strip used to button the elastic strap to the pants. Flat ring attached to the elastic strap; it can be moved up or down to adjust the length. Narrow strip of stretchable sturdy material. 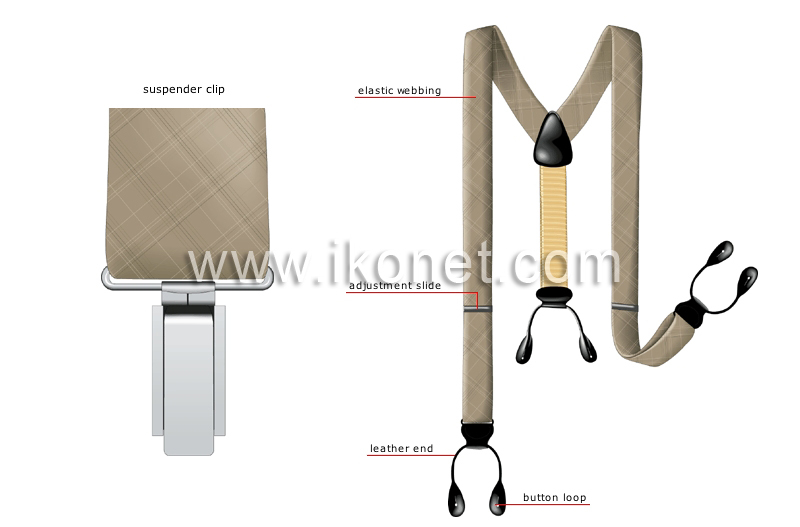 Fastening system made up of two hinged tabs; it can replace the leather end on suspenders.